Looking for a USED PSH-08025D? 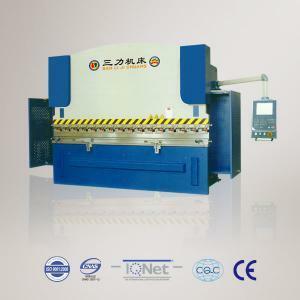 Characteristics of the machines:.Advanced configuration,high precision and high efficiency CNC hydraulic press brake. .All major electrical and hydraulic elements are assembled with high grade international brands. .Holistic welding structure treated by annealing. optional 4+1 axes,5+1 axes,6+1 axes,8+1axes or more axes. .DA56 or DA65 is the standard CNC system. --upper rapid clamping fixture,which has both quick fastening and crowning function. --the lower table crowning machanism is controlled by CNC system. .A set of standard tools is provided with each machine. Looking to Purchase a New SANLI PSH-08025D?